We are very pleased to include Spirit Medium and Psychic Marchelle as a featured reader at Authentic Psychics Network. Marchelle is no stranger to tragedy, and the joy of discovering our loved one's do indeed continue on after death. Not long after high school and a move to a new home, Marchelle's father passed on. It was a sudden and shocking loss. The emotional shock, and some unusual occurrences following her father's death, pushed Marchelle to explore spirituality, the possibility of life after death and the mystery of why 'bad things' seem to happen (even to the best of people). 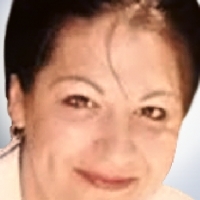 Marchelle would be guided to Delphi University, a university dedicated to spirituality and psychic development where she would become certified as a psychic medium and spiritual Counselor. Uncovering and developing her psychic talents (and sharing this gift with others who seek her help) has been a blessing. It is Marchelle vocation to which she is spending a life time to perfect. Marchelle has also recently become a Chaplain with the Unity Church and become certified as an Inner Light Healing Practitioner. Many have sought out psychic medium Marchelle for her spirit medium talents. More than one skeptic has been rather shocked when Marchelle describes the spirits who surround them (especially when Marchelle reveals the messages from spirits for the skeptic). The spirit world can offer powerful insights in all aspects of our lives and help reveal what seems hidden. There are also no questions too small or too large. Are you interested in contacting your spirit guides? Or, perhaps, reaching someone on the 'other side'. Curious about a new love interest? Do you need insights into an important relationship? Or, some 'special help' with a career or business decision? Give Psychic Marchelle a call. She looks forward to meeting you. If you have never used our services before, we would love to have you as a new client. New callers can receive a Free 3 Minute Psychic Reading. Why not call now and learn more?